Median Inflation rate of European Union on 2011 Q2 is 3.40 % P.A. That is an increase of 8.82% compare with 2011 Q1 median Inflation rate. 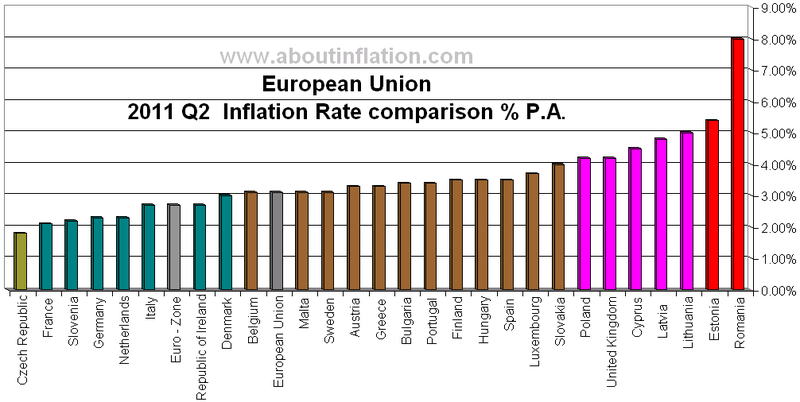 Average Inflation rate of European Union on 2011 Q2 is 3.56 % P.A. That is an increase of 12.89% compare with 2011 Q1 average Inflation rate.